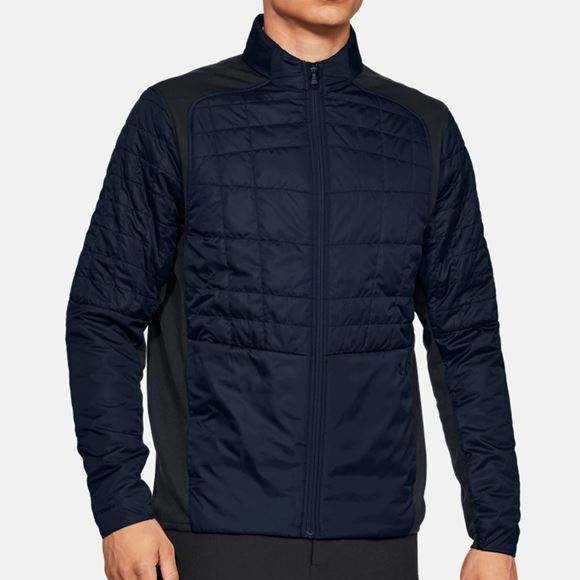 All black jacket with PrimaLoft insulation. Under Armour storm technology fights of the rain and snow, the padding keeps you extremely warm. It's the perfect cold weather jacket, its also very lightweight which gives it even more appeal. 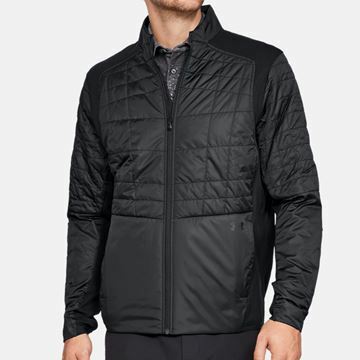 When cold, rainy weather comes your way, this jacket is going to keep you warm and dry. The UA Storm shell fights off rain and snow, and the versatile PrimaLoft® insulation delivers incredible warmth without packing on any unnecessary bulk. Navy Under Armour Jacket. Storm technology fights of the rain and snow, the padded PrimaLoft insualtion fights off the cold. 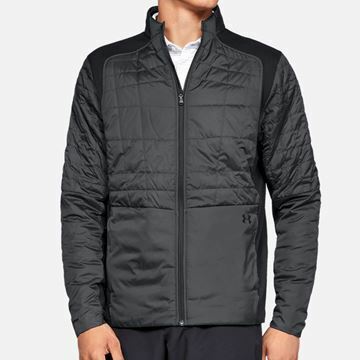 The are must have features if you want the perfect cold weather jacket. As well as having these characteristics the jacket is ultra lightweight which give you freedom of movement.